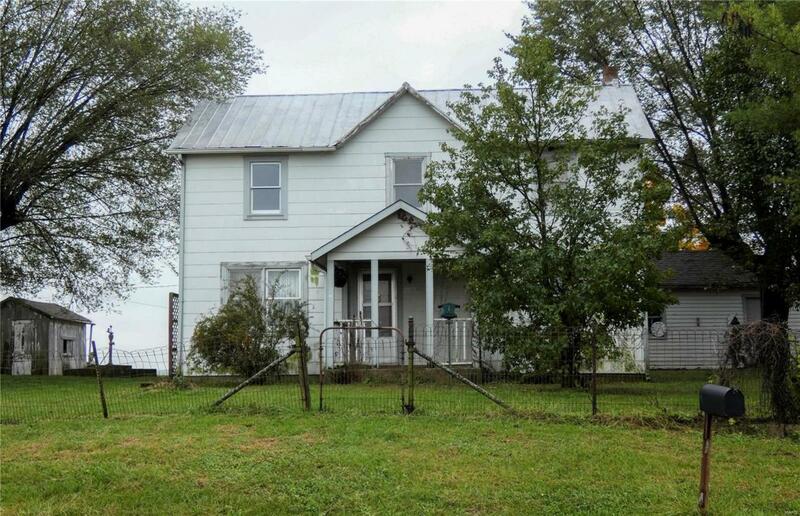 Farm for Sale in Franklin County, MO. Dreaming of your own farmhouse?? Farmhouse, outbuildings and 25.6 acres for sale in New Haven, Missouri! 4 bedroom home is just waiting for the perfect person to come along and breathe new life into it. This home isn't lacking in space at all, main floor master and laundry are rare in an older home and upstairs opens up opportunity for 3 more adorable bedrooms and an additional room that could be a 3rd bathroom. If outside storage & structures interests you, the property has multiple outbuildings including barn, small equipment shed, large chicken house, summer kitchen and a couple more little storage areas available, all located on 25.6 acres of rolling pasture. Great ideas, a little HDTV motivation, and a little TLC can make this property an amazing home for your family! Listing provided courtesy of United Country Land And Lake P. Listing information © 2019 Mid America Regional Information Systems, Inc.